The government is in the process of procuring logistics such as helicopters, drones and vehicles for the Police Service to help in the fight against armed robbery and general crime in the country. This was disclosed by the Interior Minister Ambrose Derry who was commenting on the recent upsurge in crime, particularly armed robbery. He said government is taking swift measures to deal with crime, especially armed robbery. Speaking to journalists today [Wednesday] February 28, 2018, on the sidelines of a wreath laying ceremony for servicemen who lost their lives in the February 28 crossroad shooting held at the Black Star Square, the Minister said processes have commenced for the procurement of vehicles, helicopters and other equipment needed for the smooth operations of the security services. The Police Service over the years, has complained about lack logistics to fight crime following recent reports of armed robbery attacks on mobile money vendors and forex Bureau institutions. There have been robbery attacks in in areas like Hallelujah, Gbetsile, Oyibi, Ashongman and other communities within the greater Accra Region. President Akufo-Addo in his state of the nation address in February 2018, said that government was going to allocate an amount of Ghc800 million to retool the police service. Many have cast doubt about the pledge, since similar promises to the service over the years have not been fulfilled. 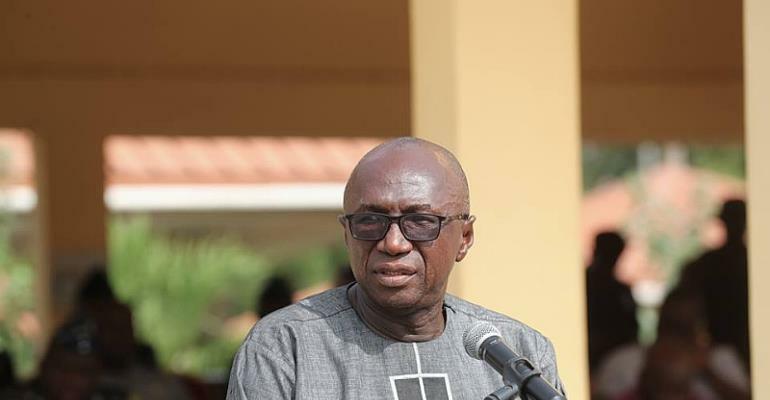 The post Police to get helicopters to fight crime – Ambrose Dery appeared first on Ghana News .